Gallery November 15, 2015 November 15, 2015 . Deng Ming-Dao is the prolific author of several early popular English books on the Daoist lifestyle, compiled as Chronicles of Tao: The Secret Life of a Taoist Master. He has since written the bestselling daily meditations 365 Dao, The Lunar Tao: Meditations in Harmony with the Seasons, and many other inspirational books. where the birds sing at dawn? Deng is not content to give a commentary from a remote distance, or to riff on existing interpretations. He has constructed an eight-layer set of musings set in original prose, poetry, and translation, from wu-wei to the entire group of sixty-four hexagrams. Each hexagram entry has the graphic, character, number, name, trigrams, basic meaning, the Sequence of Hexagrams, a poetic rendition of the hexagram theme, a translation of the original text and image, and a two-page discussion of the meaning of the hexagram. The book’s ten appendices offer more detailed ideas related to current topics of interest in Yijing studies, such as translation, history, and the hexagram sequence. Handsomely produced and printed on sturdy paper with a good binding, the book will hold up to repeated use. One confusing editorial problem: the book provides four eight-grid charts for reference, the Fuxi (which he numbers 0-63, on pages xv and 50), the received order (numbered 1-64, on page xvii), and, as an insert in the back, the Fuxi chart again, but this time numbered according to each hexagram’s received order number. This last chart, in fact, looks like an afterthought, possibly a page accidentally omitted in the production process. Readers may wish to photocopy it onto heavier paper. 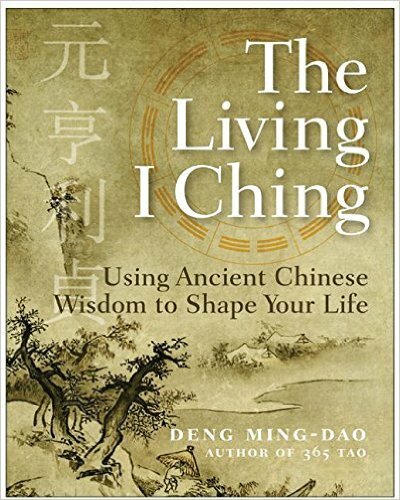 The Living I Ching book is a grand meditation on the Yijing and life with solid grounding that will appeal to many.